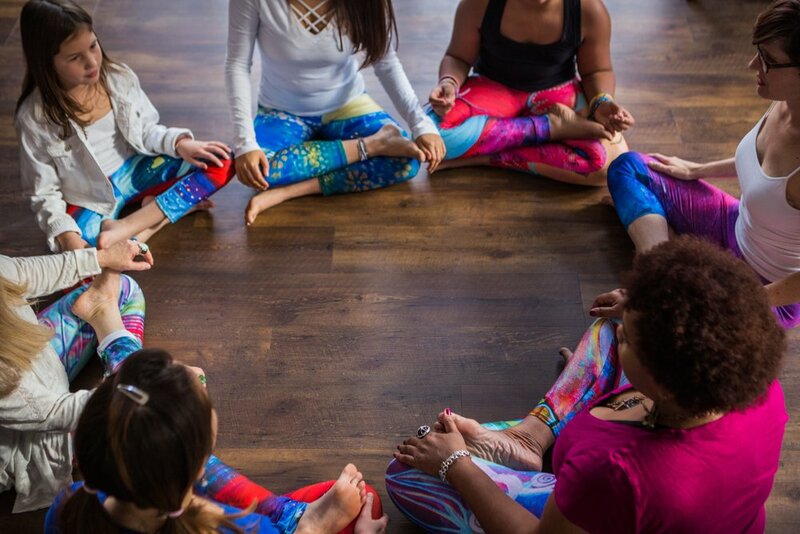 "Truly the most comfortable and pretty/interesting/meditative leggings I own." Clair has also partnered with Zayze who uses images from Clair's artwork to create active wear. All designs are created by Clair, using imagery from her paintings. Along with photos of each design, you will also find a photo of the painting that inspired the piece. Some of these works of art are still available for purchase in our shop. Made from 88% polyester 12% spandex performance wear fabric manufactured in Canada. The fabric we use was also developed exclusively for us, and is made by a local Montréal mill, close to where they are printed and sewn. Our clothing can be active wear or going out wear! Compression fit due to our high spandex fabric. Our clothing hugs and suits many different body types. All our stretch fabrics feature an EcoPoly fiber. This fiber is considered eco-friendly since it requires 70% less water during manufacturing than regular polyester production. Note: After many years of enjoyment, if you are ever ready to let these items go, we hope you will give your clothing to someone else to enjoy, or recycle it! Polyester recycling is becoming more widely available. Note: We feel confident you will enjoy wearing Clair's clothing for many years to come. However, if you are ever ready to let these items go, we hope you will give your clothing to someone else to enjoy, or recycle it! Polyester recycling is becoming more widely available. Click HERE to visit our shop and see all of our clothing designs. The chart below is from the production company that prints and sews our clothing. We are finding that the skirts run a bit small, especially for the sizes XS and S. You may want to order one size up on those sizes, and on the other sizes as well if you like a roomier fit. The clothing is sewn by hand, so there may be slight variation from the chart below but if your garment is off by more than an inch from the measurements below, we will exchange the the item for you. Contact us if this happens with your order. If you order and item that doesn't fit according to the measurements below, you can return it to Clair Oaks Creations at 404 Vassar Ave., Swarthmore PA 19081. DO NOT RETURN ITEMS TO THE RETURN ADDRESS ON THE PACKAGE YOU RECEIVE THEM IN (THE MANUFACTURER) WE CANNOT BE RESPONSIBLE FOR ITEMS RETURNED TO THE MANUFACTURER. THANK YOU.